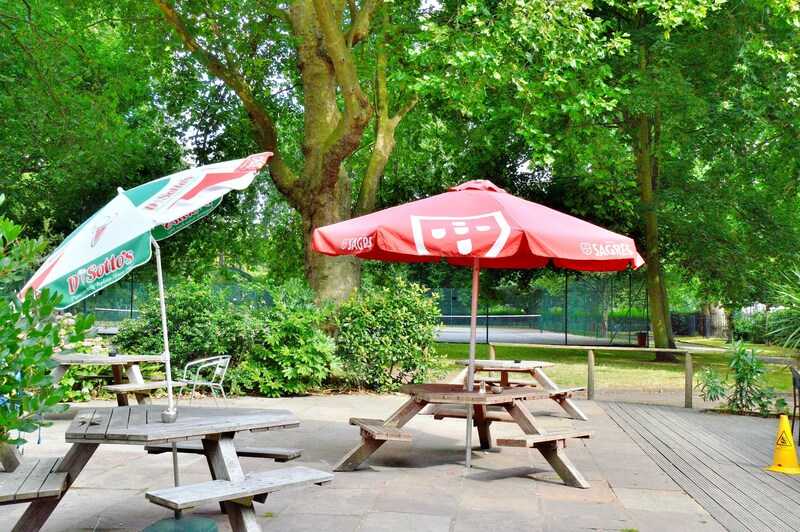 Vauxhall Park, in SW London, is a small but pleasant area with a very nice little café and a secret. 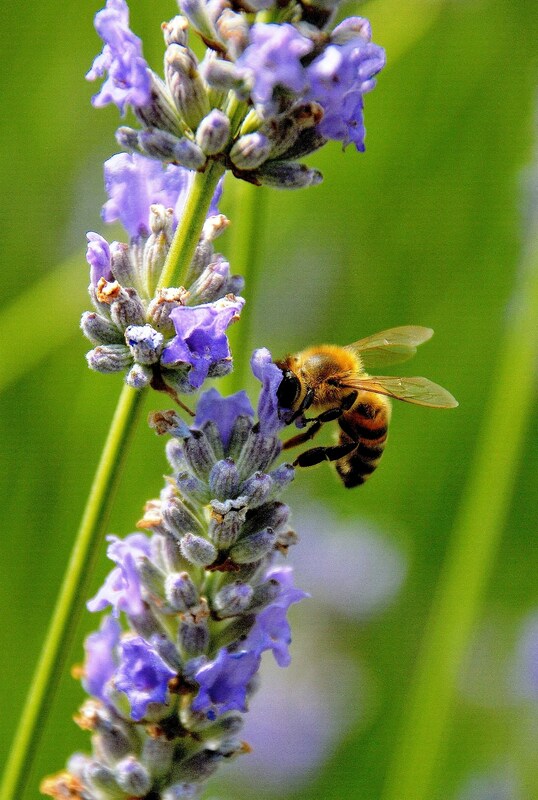 On the way, there is a very aromatic field of lavender that hosts a number of visitors (please click here if you can spare a moment to help save the UK bees from insecticides) . 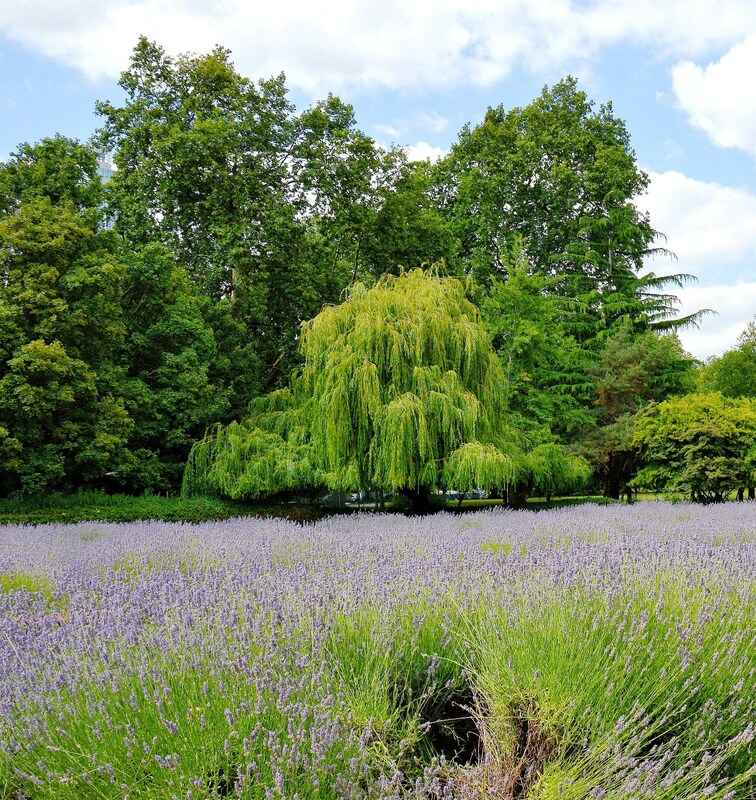 The lavender was harvested in the past, distilled into oil and made available for purchase -see the Friends of Vauxhall Park. 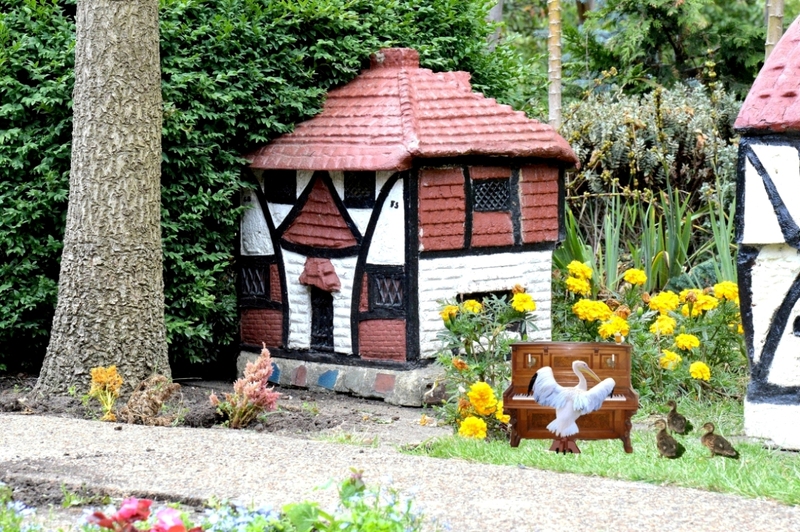 And, at the eastern end, adjacent to the children’s play area, the only model village in London. Albeit small, it is quite charming. Created by Edgar Wilson in 1949, the only other surviving by the same person being in Melbourne Australia. This one was restored in 2001 by local resident Mr Nobby Clerk. Such places do give rise to imagination (my excuse for what follows). They’re both called Mini. Would you Adam and Eve it. Professor Pelican teaches his Ducks to Cluck class, attended by Vera, Chuck and Dave (who knows where they were first mentioned ?). 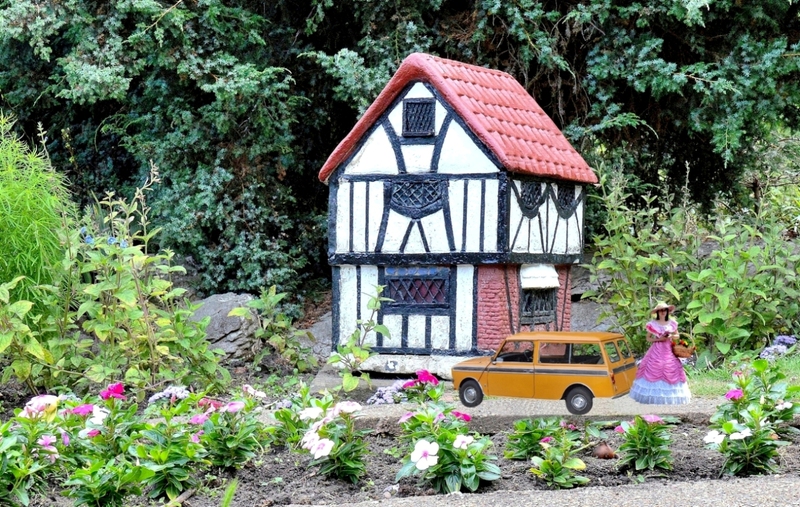 The Elfin Oak, Bekonscot Model Village and Railway (near London), Babbacombe Model Village (Devon) and nearby Kents Caverns, Corfe Castle and more Model Villages. Enjoy and thanks for the visit. This entry was posted on August 2, 2015 by Graham in Hats. 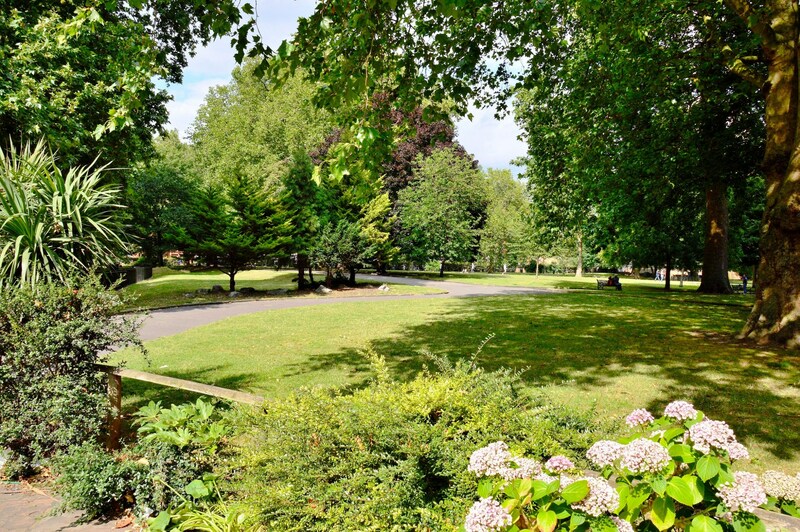 It was filed under Art, Photography, places to photograph in london, Places to Visit, West London and was tagged with bees, lavender, model village, save bees, vauxhall park, vera chuck and dave. How nice. 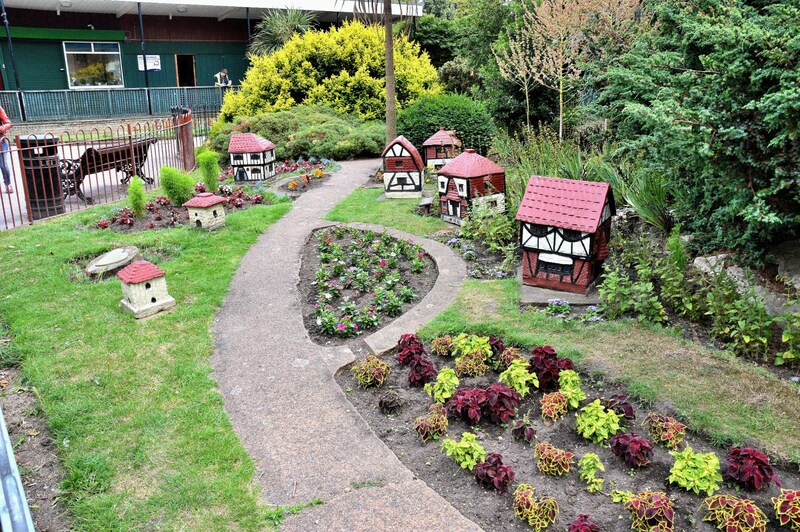 I love model villages like that. What’s the secret? Not many people know it’s there.